The Israeli tourist office has been criticised by the Advertising Standards Authority (ASA) for including images of the Palestinian-run West Bank in an advert for a holiday in Israel. Israeli tourism advert shows East Jerusalem. The advert for the Israeli government's Tourist Office stated that you could "travel the entire length of Israel in six hours". Images shown included the Wailing Wall and the Dome of the Rock – the oldest Islamic building in the world, built in the seventh century. The area in East Jerusalem is at the centre of a dispute between Palestinians and Jews, with more than 500,000 Jews living in the disputed territories. A reader complained that the printed advert featured a photograph of East Jerusalem and said it misleadingly implied that it was part of the state of Israel. The ASA said that the advert featured various landmarks that were in East Jerusalem which were part of the Occupied Territories. It ruled that the advert breached truthfulness guidelines and ordered that it not be used again, adding: "We told the Israeli Tourist Office not to imply that places in the Occupied Territories were part of the state of Israel." It said: "The ASA noted the itinerary image of Jerusalem used in the ad featured the Western Wall of the Temple Mount and the Dome of the Rock, which were both in East Jerusalem, a part of the Occupied Territories of the West Bank. The ASA noted the itinerary image of Jerusalem used in the ad featured the Western Wall of the Temple Mount and the Dome of the Rock, which were both in East Jerusalem, a part of the Occupied Territories of the West Bank. The ad implied that the part of East Jerusalem featured in the image was part of the state of Israel, we concluded that the ad was likely to mislead. "We noted the ad stated 'You can travel the entire length of Israel in six hours – imagine what you can experience in four days', and 'Visit now for more itineraries in Israel', and considered that readers were likely to understand that the places featured in the itinerary were all within the state of Israel. "We understood, however, that the status of the occupied territory of the West Bank was the subject of much international dispute, and, because we considered that the ad implied that the part of East Jerusalem featured in the image was part of the state of Israel, we concluded that the ad was likely to mislead." 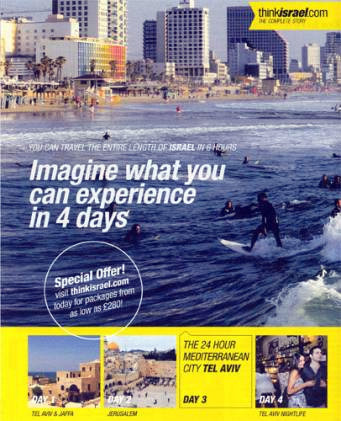 Israel's Ministry of Tourism stated that the advert provided "basic, accurate information to a prospective UK traveller who wanted to know what to expect in Israel". It said that it was "entirely accurate to assert that a visitor to Israel could visit Jerusalem as part of a short visit", adding: "Had the ad omitted a reference to a visit to the city of Jerusalem, it would have been incorrect and potentially misleading." In response to the complaint, the ministry said that Israel "took responsibility to support the religious sites of all denominations, a commitment which also formed part of the obligations of an agreement with the Palestinian Authority signed in 1995". The ministry added that "the agreement placed the upkeep of holy sites and the determination of tourist visiting hours under Israeli jurisdiction". 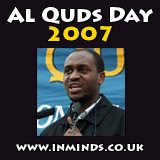 The ministry also maintained that the present legal status of Jerusalem had nothing to do with the point at issue. It said this was "only of relevance if there was an attempt to interpret the straightforward message of the ad in a manner that went beyond what consumers were likely to understand from the ad." Notice that whilst the ASA correctly uses the term "occupied territory" as stipulated by the UN and recognised by the international community (including the UK), the author of the article, Stian Alexander, chooses instead to follow the Israeli narrative and falsely refer to the West Bank as "disputed territories". After the Advertising Standards Authority and Transport for London ignored complaints against the appearance of Israeli tourism adverts on the tube the week after the flotilla massacre, activists were forced to take matters into their own hands..
Floods of complaints have forced the Israeli government to withdraw tourism adverts from London Underground that "wipe Palestine off the map"
"Brazil's is about fun, Paris is about romance, so Israel is about what? We researched worldwide, and it came up almost universally that Israel's image is identified with conflict. 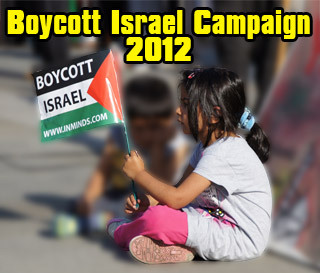 Even people who support Israeli policies are not attracted to what the conflict represents."